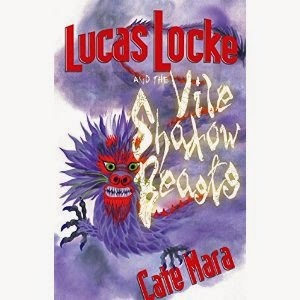 Cate Mara's "Lucas Locke and the Vile Shadow Beasts," book 1 in a YA fantasy series, is a magical adventure story about a boy who begrudgingly becomes a hero in a fantastical land. The main character, Lucas Locke, lives a relatively normal life ... until he is whisked away to a place filled with spells and enchantment. He finds himself in a strange realm called the Garden of Eternal Sorrow where people, hungry for a savior, entrust him to save them. Aided by a small man named Stodge and a warrior named Amira, Lucas does his best to complete the tasks set before him, bringing the reader along for an adventure filled with action and fantasy that inspires the imagination. My favorite character is Amira, a strong female character who fights for what she knows is right. This book would be ideal for ages 12 - 17, although ages outside the range could surely enjoy it. Recommended for anyone who likes adventure stories!